This is a super easy recipe and it's delicious. When I find country pork ribs on sale, I stock up and use them for sandwiches, tacos, burritos, etc. It's an inexpensive cut. When it cooks in the crockpot, it becomes very tender. Total Time: 30 minutes, minus Crockpot cooking time. Source: The recipe was from Pioneer Woman. 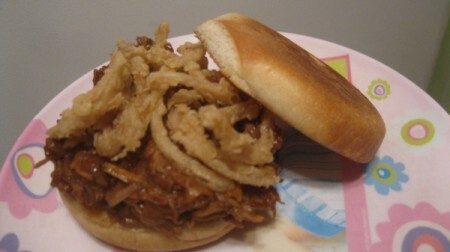 Add any toppings you would like; mustard, cheese, coleslaw, onion strings, etc. Generously season ribs with your seasonings. I don't measure it. Just sprinkle it on until it's coated. 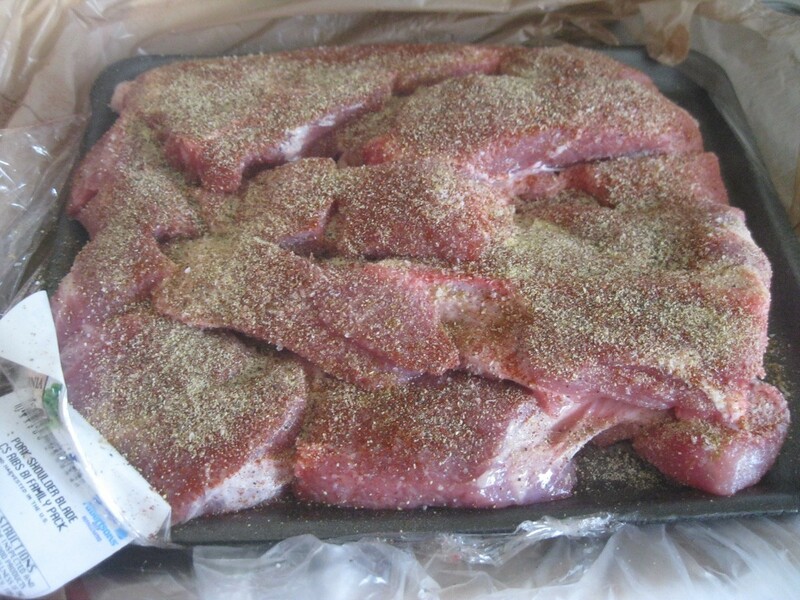 This mix of spices also works well when using the meat for tacos. Heat skillet. Once hot, sear ribs until browned. 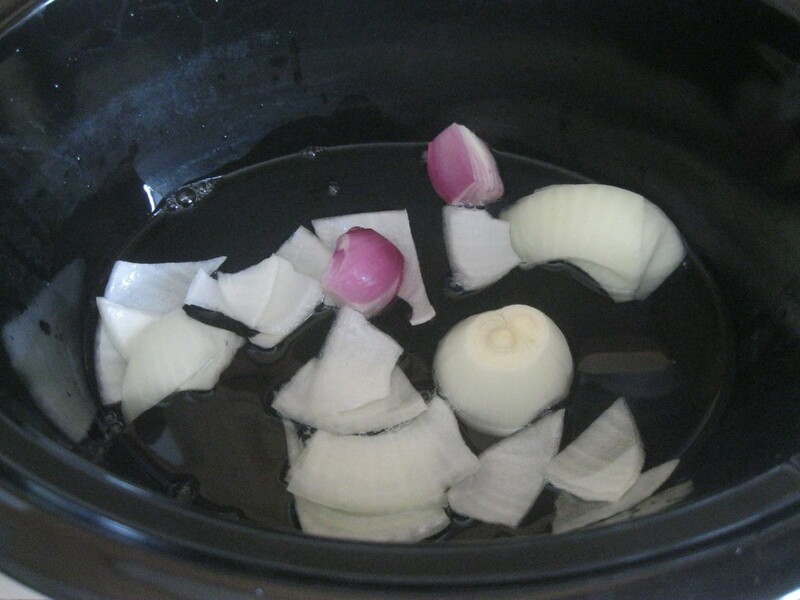 Add about 1/2 an inch of water to your Crockpot. Add some chunks of onion. I had a leftover shallot that I threw in there also. Add your ribs to the Crockpot. Cover. Cook on low for 8 hours. Once done, take the ribs out and break into smaller pieces. 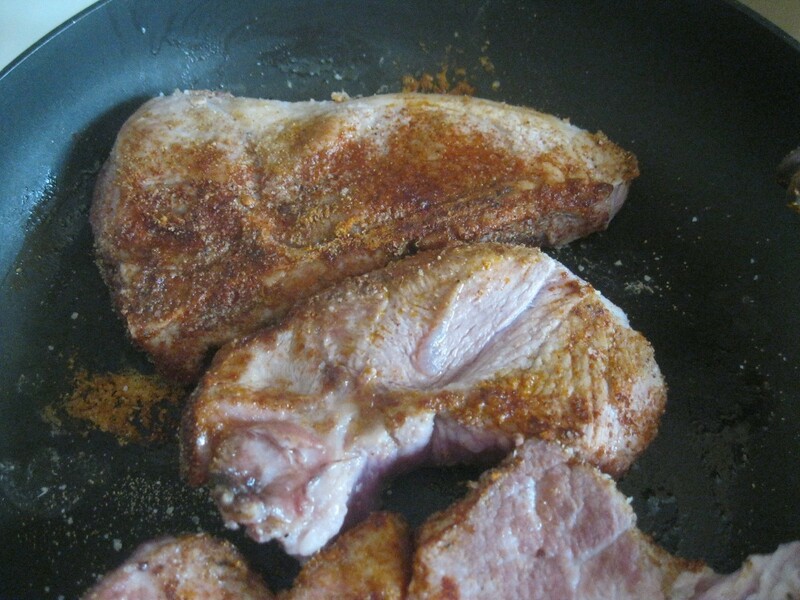 If there were bones in your ribs, take those out, along with any fatty pieces. Put ribs in a pan. Add some barbecue sauce (as much or as little as you would like). Heat and stir for about 5 minutes. Put some meat on your bun. Add any toppings. I put onion strings on mine. My mouth is watering just looking at this picture! I am SO trying this!